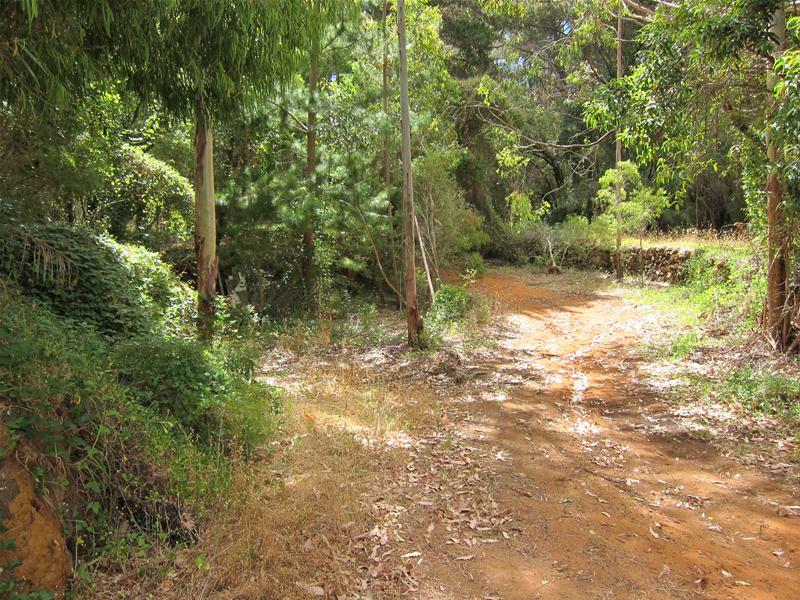 Old Karridale is situated just behind Hamelin Bay and it is not often a property comes onto the market in this area. 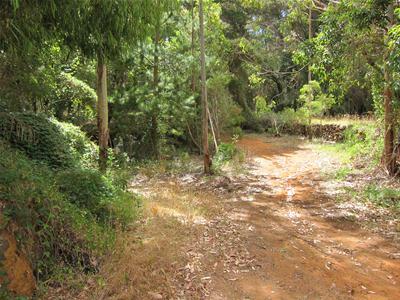 This property is 2.25ha (5.5 acres) in area and is situated just south of Bushby Road with frontage onto Caves Road. 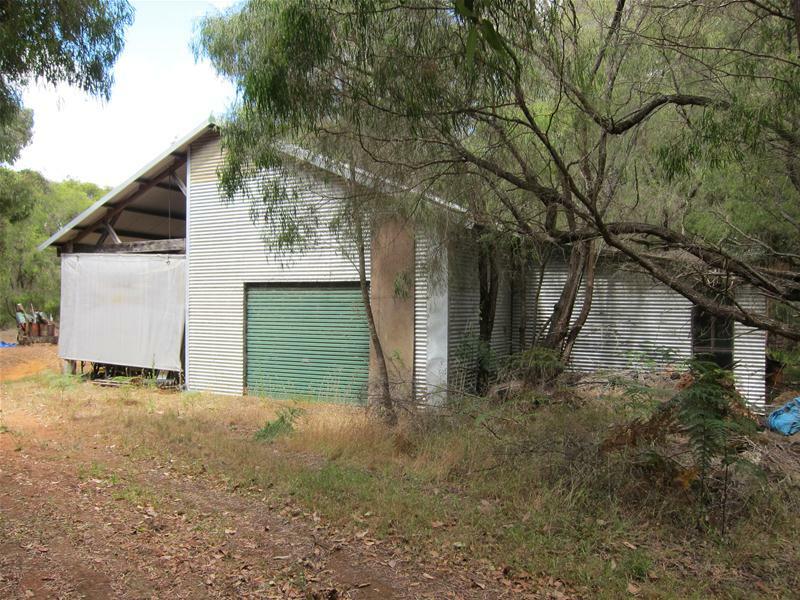 Built on the property is a large shed with a two storey accommodation section in one side of the shed. 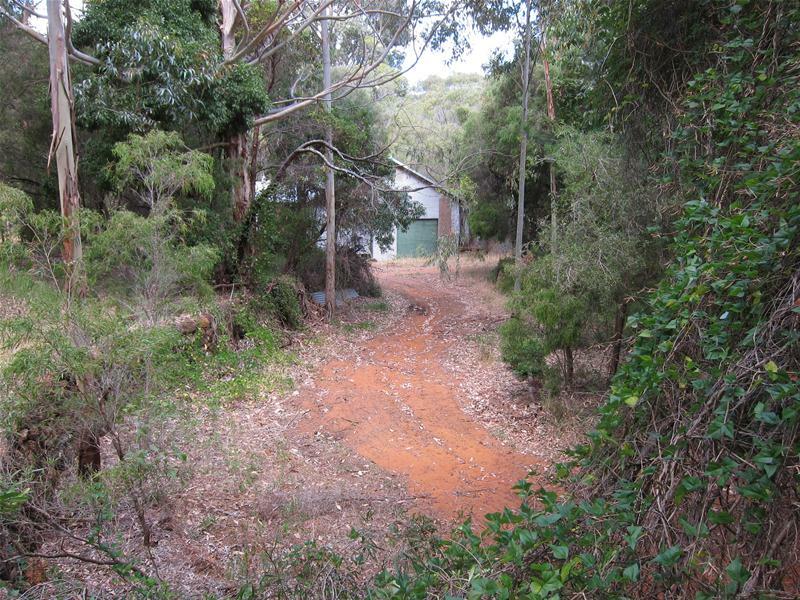 The accommodation needs to be finished off but has two sleeping areas, a bathroom, a toilet and kitchen. 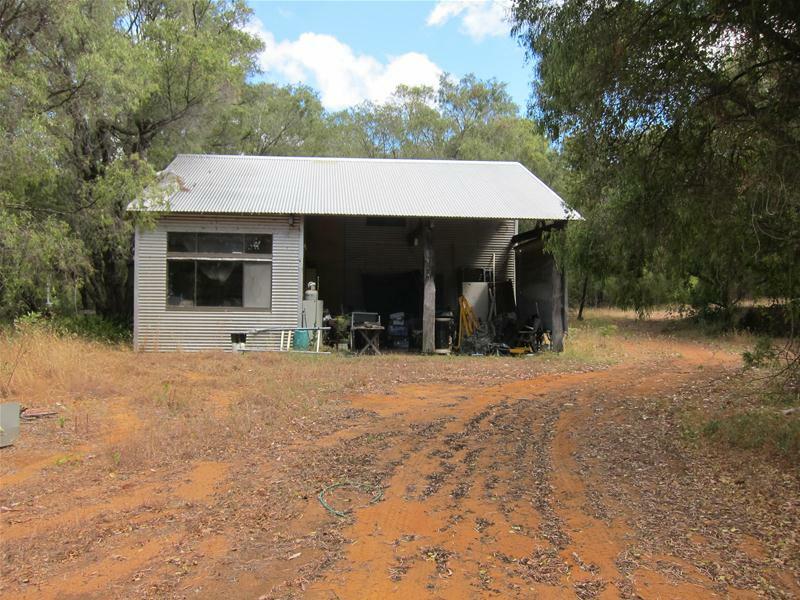 The construction style has used some limestone, some timber though mainly corrugated iron. The use of timber inside is a feature with a well crafted stair way and some big timber beams. The shed part of this structure is divided into three sections with one section almost able to be locked up and two other areas that are open. To provide an idea of the size under the roof, these areas could easily shelter six cars. 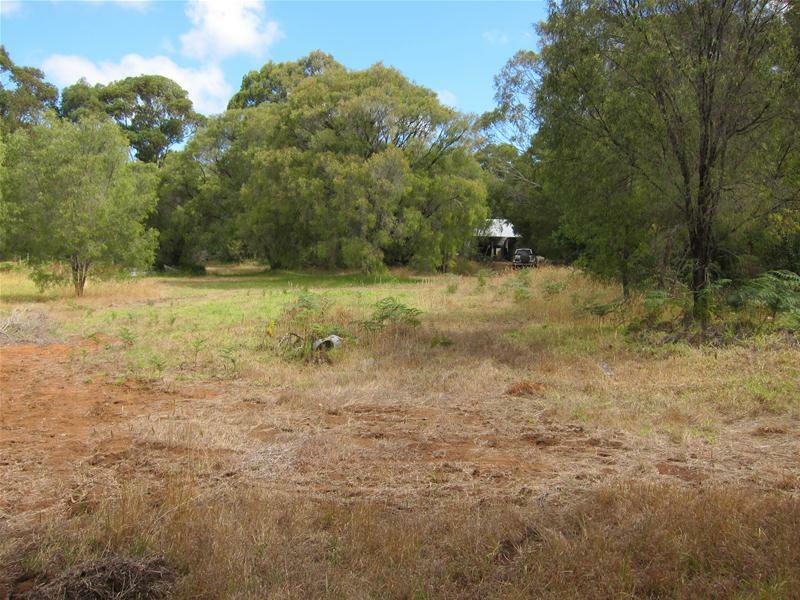 The property is partly cleared, with open grassy areas as well as some timbered areas with a few very big trees in places. The property slopes gently but at some time in the past a series of stone walls have been built to retain level areas and to create what must have been garden alcoves. Back then, in it’s forest setting, this property would have been almost magical. 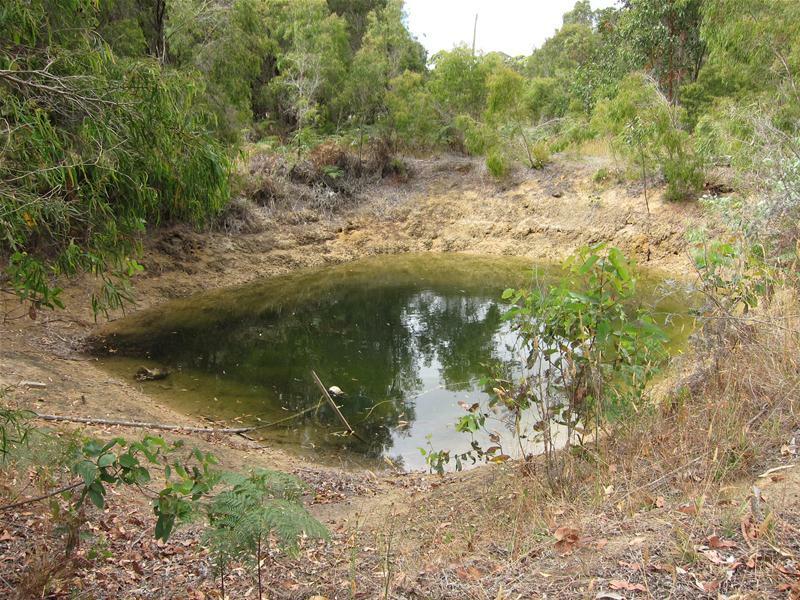 The property has a dam that obviously provided water to a large tank close to Caves Road where the water could be gravity fed to all parts of the property. 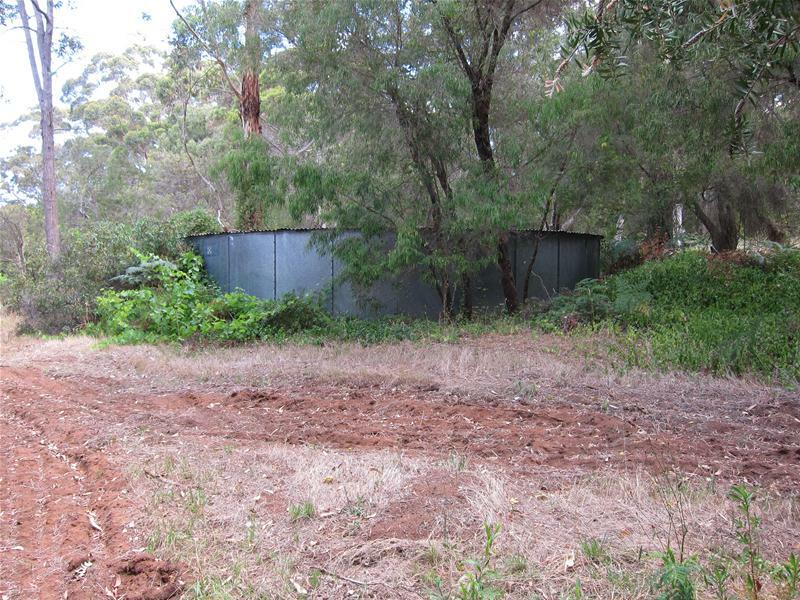 There is evidence of very big rainwater tank still behind the shed. 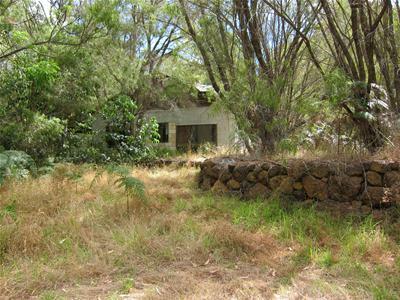 The property is in need of some work yet still shows the promise of being something quite extraordinary.